Hello, friends! 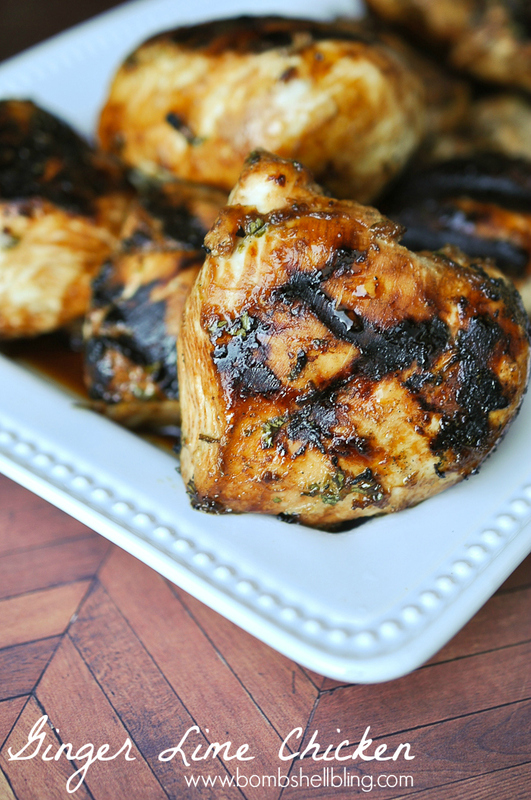 I have been MIA this week, but today I am back with a simple chicken marinade recipe for you that our family loves. I love warmer months when I can toss stuff in a marinade and then toss it on the grill, don’t you? This Ginger Lime Chicken is one of my favorite easy marinade recipes. It is something I got at a Weight Watchers meeting long ago after my son was born. We love the tangy Asian twist of flavor, and we love to serve it with grilled pineapple. Mmmmm….. Have you ever grilled pineapple? Try it. You won’t be sorry! BEORE you add the chicken, remove and reserve ¼ cup of the marinade. Add the raw chicken to the bowl. Make sure each piece is coated in the marinade. Refrigerate the marinating chicken for 2 - 4 hours. 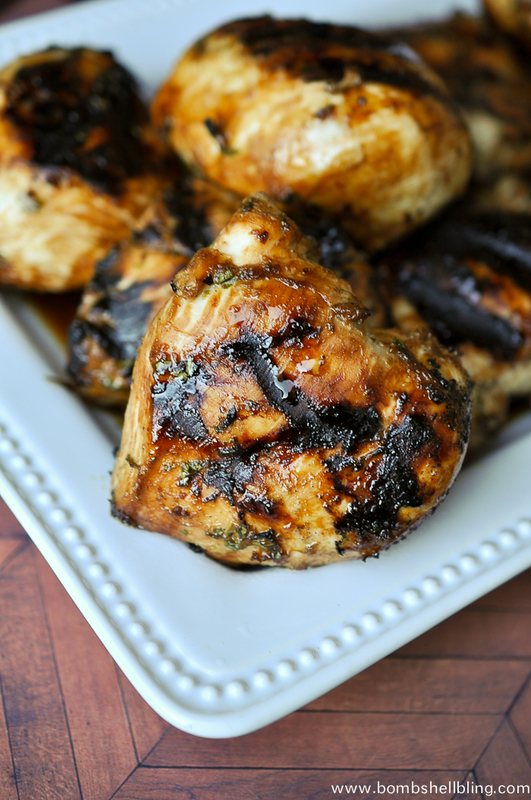 Grill or broil the chicken, brushing on the extra marinade toward the end of the cooking process. Sprinkle the scallions over the chicken and enjoy! I always have ginger and lime in my kitchen, and I absolutely love chicken thighs. This looks like a great recipe! Pinning. We grill a lot in the summer and this looks like something we would love. Pinned and Printed. I love anything with ginger!! Thanks for sharing on the What’s for Dinner party! This looks delicious! I like how simple it is to make. Always looking for new chicken recipes. Thanks for sharing with us at Throwback Thursday! Pinned and shared.